Thompson Suburban Dental Lab can fabricate custom-fit oral sleep apnea appliances, including mandibular repositioning devices such as TAP 3 and elastic mandibular advancement devices such as EMA First Step. Oral appliances can be especially effective for patients with mild to moderate sleep apnea who don’t require or can’t adhere to a continuous positive airway pressure (CPAP) device. Our non-invasive sleep apnea appliances can also be effective for long-term sleep apnea and snoring control and can often serve as an alternative to the UPPP surgical procedure. 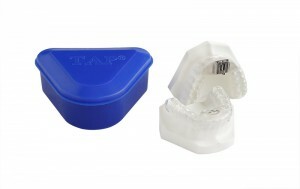 Contact us today to discuss the best oral sleep apnea appliance for you or your patient.